The Freer-Sackler Library decided to use Kecskes’ scholarship to provide researchers with a way to locate each of the books from the Rockhill donation by searching the Smithsonian Libraries catalog. Through the assistance of Ezra Heller, an intern working on a high school service project in May 2016, a link “Rockhill, William Woodville, 1854-1914 former owner” has been added to the bibliographic records representing the works donated by Mrs. Rockhill. Doing a search for “Rockhill” as an author browse search in the Smithsonian Institution Research Information System (SIRIS) links to a list of the 82 titles comprising over 1000 volumes in the Freer-Sackler Library that we have been able to identify thus far as originating from the Rockhill donation. 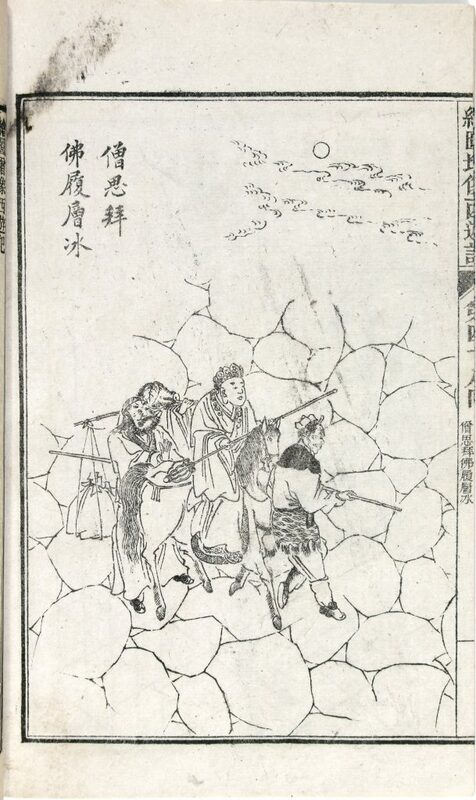 Kecskes’ article notes that the majority of the Chinese language books in the Freer-Sackler Library rare books collection are from this Rockhill donation. As a long time Smithsonian member, I am pleased this has been organized so well by Mr. Ezra Heller.